Two more debutants in this week’s lineup that features a pair of team-mates occupying the spots in the front-court. An immediate impact for the former NBA G-League guard after Washpun helped lead the Royals to two victories over the weekend. The American scored 17 points in their Trophy win at Worthing Thunder before scoring a team-high 21 points to help his new side preserve their unbeaten record at home in the league. Holder makes his third appearance of the season after leading the Riders to their fourth win in a row in 2019. Last season’s Trophy Final MVP scored a joint game-high 19 points – including two key scores in the final minute – to help his side overcome Plymouth Raiders, on BBC Sport. The Lions’ high-flyer continues his form ahead of the Cup Final with a near double-double in the road win against Worcester Wolves. 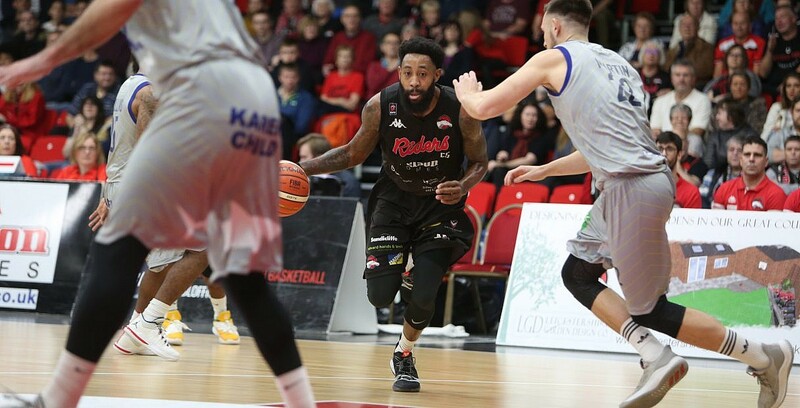 Tabb posted 19 points and nine rebounds along with two steals with London increasing their lead at the top of the BBL Championship. A deserved debut appearance for the Croatian forward after producing a big game in a historic win against Newcastle on Friday night. Granic starred with season-highs of 26 points as well as seven assists in a 71-89 road triumph to send the Giants into another Semi-Final. Appearance number four for the walking double-double with Clayton again producing the goods in two wins for Manchester this weekend. The American had 16 points and 17 rebounds in the Trophy win against Newcastle before following that up with 19 points and 14 boards in the home success over Bristol Flyers.